The Pantry Cookbook: Here's my Spokesperson. . . Here's my Spokesperson. . . This is my daughter Kaylee, showing off my box full of copies of the Pantry Cookbook. I'll be mailing these to the nice folks who gave me help and encouragement on the project, plus various family members. The remainder will be sent to food banks. 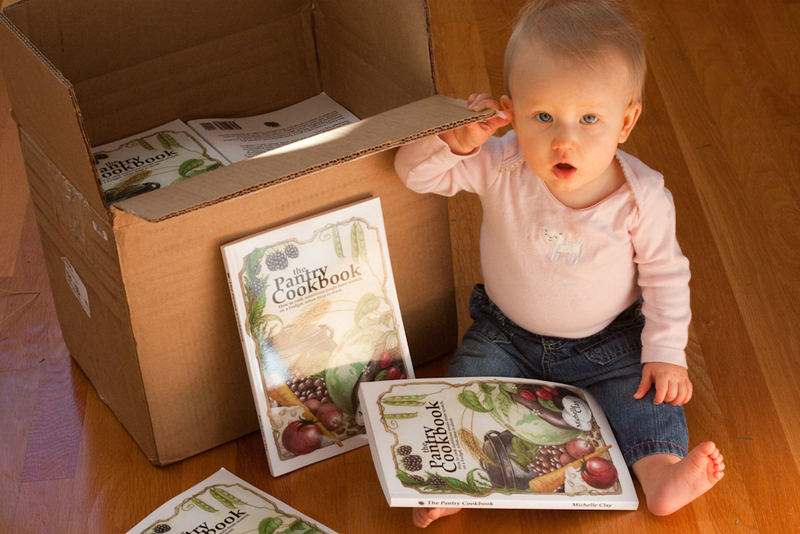 Welcome to the home of the Pantry Cookbook!